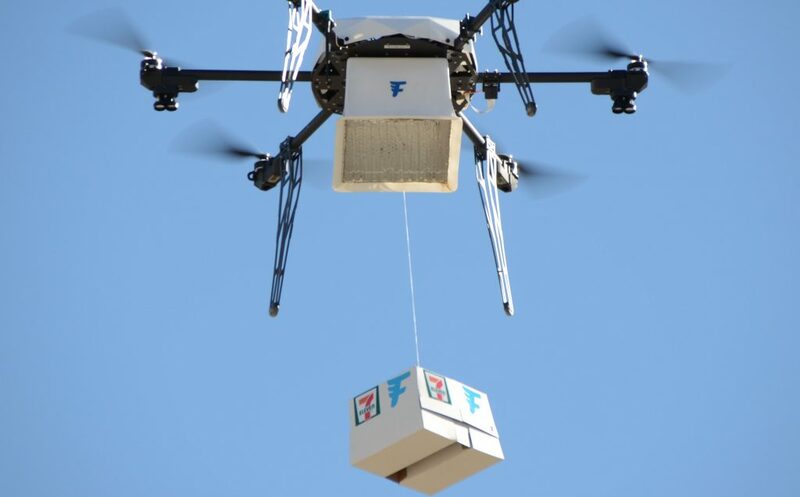 Amazon and Google may both be testing drone delivery, but it turns out that 7-Eleven may already be ahead of these two mega-retailers in this field. The convenience store chain has quietly become the first company in the US to offer a regular commercial drone delivery service. Recode reports that 12 customers in Reno, Nevada have now received delivery of products ordered online and sent to them via aerial drones. The 77 flights took place about a mile away from the initial location. 7-Eleven used drones made by Flirtey to make these trips. Most customers ordered over-the-counter medicines. but some ordered food and beverages. Each trip took about 10 minutes to go from its source to the customer, according to Flirtey. The drone itself doesn’t actually land, but rather hovers over its target address and lowers the package down to its customers. All of the drones made their trips autonomously, but there was always a human operator that was standing by to take over just in case. Amazon recently started a trial of its Prime Air drone delivery service in England, and Google recently completed a trial that used its Project Wing drones to deliver food from a Chipotle Mexican Grill truck to a few Virginia Tech students and teachers.